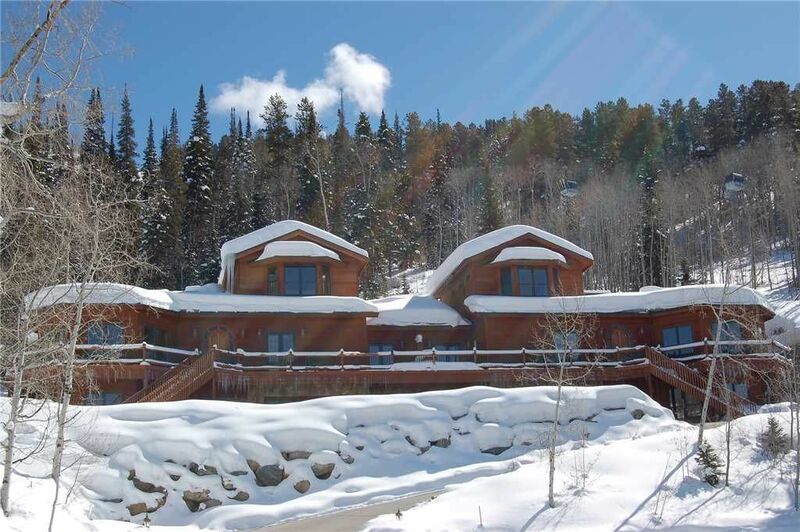 Gondola Run is a luxurious home that has 6 bedrooms, 6.5 bathrooms and sleeps up to 16 people comfortably. Located under the gondola, our guests enjoy excellent views of the Sleeping Giant Mountain and north valley. Step outside and you are 59 steps from a walking trail that directly accesses the Valley View run. From this point down, an intermediate can readily ski or snowboard Valley View right to the base area. Note that at day's end, returning to this access point requires expert abilities. This home comes equipped with a large heated driveway and stairs, a large living area, an open kitchen with 2 ovens and 2 dishwashers, 3 master bedrooms with Jacuzzi tubs, fireplace in the living room and in 1 master bedroom, a pool table and poker table, a bar, a large private wrap around deck with grill and hot tub, an entry way with boot warmers and a washer/dryer. Full wet bar with dishwasher and refrigerator. All went well, Pioneer Ridge was great to work with. Plenty of room for large group to gather and bedrooms were as advertised. Bunk room is great place for kids. Really enjoyed the Steamboat feel too as a first time visitor. David thank you for staying with us and your positive review. We hope to see you back in Steamboat soon! Great house, needs some minor maintenance, mainly the main floor AC. Really great house. Overall had a fantastic trip as stay. However, there were small annoyances related to the house and attention to detail by the rental office.The main floor AC didn’t work and was not fixed during the entire stay in spite of daily calls to the rental office. For an expensive rental property like this one, fine tuning of the rental experience with regard to basic comforts in the property would help. Small distractions and annoyances for us included a nonworking phone in the unit, broken main floor central AC, lack of paper towels in the unit, broken lighting unit on the grill and no external lighting source supplied, inadequate refrigerator space for a group of 15, difficulty getting TV/DVD systems to work, and no daily or periodic cleaning or refresher service offered during the stay. A couple trips to the grocery store, which was easy, fixed some of these issues. A full sized fridge, instead of counter depth, somewhere in the unit, basement or garage, would be helpful. Additionally, though the rental office was easily accessible and helpful, a welcome packet with local phone numbers, activities and a map would have been an added convenience. All that said, if you have a big group, this is a beautiful, fun, very comfortable, luxurious and well thought out place to stay. Thanks for your review Samuel! We are very happy to see that you mainly enjoyed the property. It is unfortunate when mechanical failures happen. It can be challenging in our mountain town for repairs, as in your case, parts for the repair were not readily accessible or in town during your stay. We truly appreciate your feedback from your stay with us. We look forward to host you again in Steamboat Springs at Pioneer Ridge. The property is accurately described and a beautiful home. We had a great time staying there. The entire house was clean and well-maintained, and the garage spaces and parking was great. The skiing was wonderful as well. If you are planning on skiing, be prepared for a small hike to the slopes - it is by no means bad, but it is quite a few steps. A few of the beginner skiers were also unable to ski back to the property due to some early season conditions. Be careful of the driveway in the snow too - the neighborhood plows, but if you are leaving before the plow the driveway very steep and can be slippery. I can wholeheartedly recommend this property and plan on renting it again in the future. Thank you for taking the time to review the Gondola Run A property. We are so happy to hear you appreciated the property, ski access and experience. We look forward to host you again in Steamboat Springs at Pioneer Ridge.